The first part draft of the updated National Registry of Citizenship released in the midnight of 31 December in Assam does not include the name of perfume baron and leader of the AIUDF Maulana Badaruddin Ajmal. 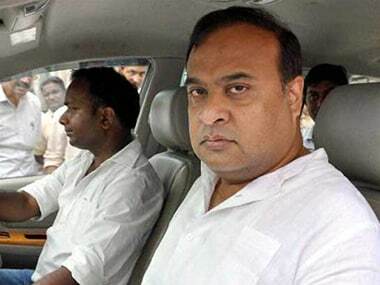 Though the first draft of the NRC is not decisive of the Indian citizenship, non-inclusion of Ajmal’s name, who is seen as the leader of minority politics in Assam can very well be indicative of Assam’s shifting political narrative. The first part draft published with the names of 1.9 crore people out of the 3.29 crore total applicants in Assam recognising them as legal citizens of India. The rest of the names are under various stages of verification. Before the release of the first part, Assam Chief Minister Sarbananda Sonowal appealed the genuine citizens not to panic if their name does not appear in the first part draft. "This is only a part draft of the NRC being published on 31 December midnight, as per directions of the Supreme Court. If the names of genuine Indian citizens are left out, there is enough provision to submit claims and objections to get their names included in the final NRC," he said as reported by The Indian Express. 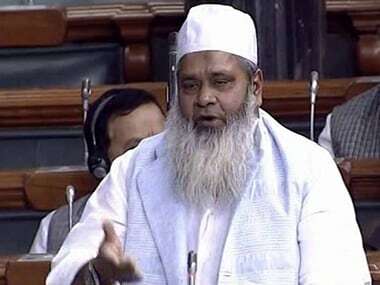 Reportedly, the draft does not include the name of Badruddin Ajmal, the president of All India United Democratic Front, the most powerful minority leader in Assam. This has rolled many heads in Assam. 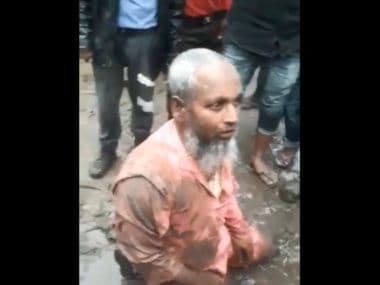 Ajmal who emerged in Assam’s politics only in the year 2005 is primarily seen as a leader of the migrant Bengali Muslims, a section of people which has a contesting political relationship with Assamese speaking people. A Bengali speaking Muslim himself, whose forefathers migrated from erstwhile East Pakistan, Ajmal and his party AIUDF has sway over the Bengali speaking Muslims in Assam adding another dimension to the Assamese identity politics with his own style of politicking. Assam has in recent times seen rapid increase in Muslim population. There is a fear that this increase has been fuelled by mass scale migration from Bangladesh. According to the 2011 census, Muslims have sway over 49 Assembly constituencies among 126 in Assam. 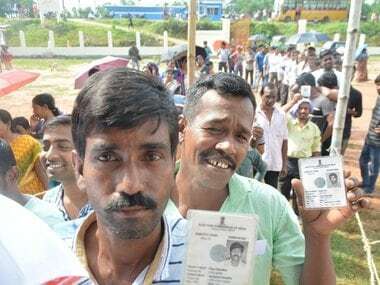 The NRC updation process aims at identifying illegal migrants from Bangladesh, as it is feared that illegal migrants have registered themselves as bonafide voters in Assam. If this suspicion proves true in the process of NRC updation, the politics that has evolved over decades around the migrant Muslims is likely to face an existential crisis. No wonder, though many names including Ajmal’s did not appear in the first part draft, his instance found special mention in the popular discourse. Determination, disenfranchisement and deportation of illegal migrants are hailed as the three-tier method of solving the problem created by much talked about infiltration from Bangladesh. 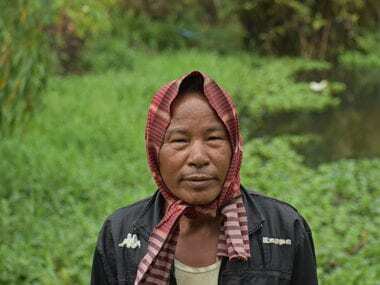 The NRC updation process is likely to take care of the first two steps and is expected to result in mass scale disenfranchisement, dismantling the present day minority politics. Due to persistent demand of AASU and other pressure groups, the then Congress government in Assam in 2010 began NRC updation process but soon stopped it due to violent protests from AAMSU, a move which was seen as the elected government’s cowing down to the pressure of an organisation. AAMSU (All Assam Minorities Students' Union) has a strong support base in Bengali-speaking Muslim population, a constituency which is also seen as a vote bank of the Congress, the party in power at that time in the state and AIUDF the main opposition party. Halting of the NRC updation process not only resulted in aggravating the combative relationship between the Assamese and Bengali identities but also resulted in overthrowing the Congress government in Assam in 2016 Assembly polls. During the poll campaign, BJP materialised this contesting relationship to the hilt. Even after winning the election BJP continued to put its weight on the side of the popular demand to identify illegal immigrants. NRC was the first office Sonowal visited after being sworn in as the chief minister of Assam. Though the NRC updation process is going on under the monitoring of Supreme Court of India, the political will that has fuelled the drive is certainly of the BJP led government in the state. If the NRC succeeds in identifying a huge chunk of illegal migrants, the BJP will be the only party to benefit politically from the exercise, not only because it will decrease the voter base of Congress and AIUDF, but also by way of enhanced trust for the saffron party from the majority section. It is likely to trigger a shift in the political narrative from minority appeasement to majority appeasement. The change is sensed in a tweet by former chief minister Tarun Gogoi where he claimed that NRC is the brainchild of the Congress. Non-inclusion of Ajmal’s name in the first part of the draft NRC may be seen as an allegorical representation of the imminent threat to the traditional minority politics in Assam.